It was a very pleasant day at the flea market. And a quite successful one :). I’ll post most of my finds tomorrow, but I wanted to show my favorite one today. 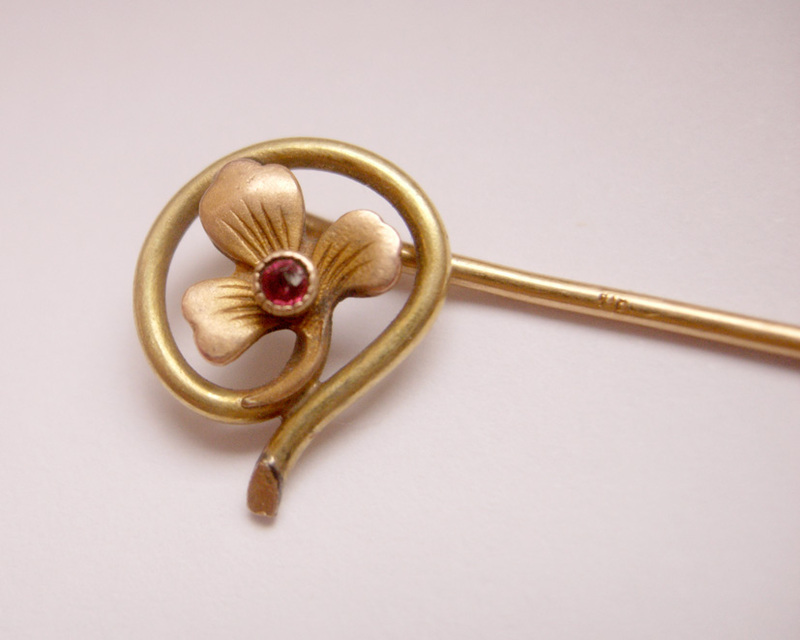 Another Art nouveau stick pin for my collection. I have posted before about my Art nouveau collection here, here and here. I’m so glad that I can find this beautiful old jewelry pieces quite easily around here and for very cheap. This pin is gold plated brass and the vendor told me that the stone in the center is ruby. The color and texture is right but I know so little about gemstones (and actually I don’t really care if it is a ruby or it’s glass). 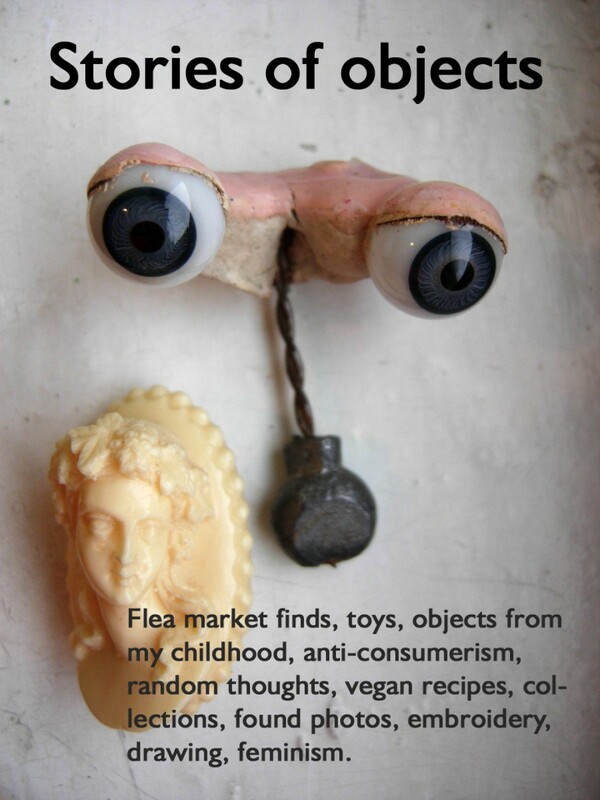 Posted on April 5, 2015 April 7, 2015 by stories of objects	This entry was posted in antique, art nouveau, brooch, collection, flea market find, jewelry and tagged antique, art nouveau, brooch, collection, flea market find, jewelry. Bookmark the permalink.